Welcome to Fort Collins Community Connections. This is a recurring blog from Visit Fort Collins where we introduce you to incredible local businesses and their owners and share their connection to Fort Collins. This week we spoke with Grant and Julia Houx, owners of St. Peter&apos;s Fly Shop. Welcome to Fort Collins Community Connections. 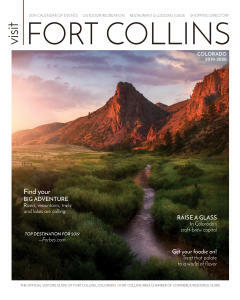 This is a recurring blog from Visit Fort Collins where we introduce you to incredible local businesses and their owners and share their connection to Fort Collins.